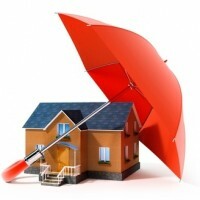 We have been providing incredible property insurance assistance to clients for the last 5 years. Insuring your property will help you cover up for your property loss during unforeseen events like earthquakes, fire, flood, robbery etc. Our insurance team will help you get the best insurance deals for your properties so that if at all such incidents occur, you can tackle the consequences of the events. We extend our property insurance services for different kinds of residential and commercial properties. For further details on our services, you can contact us anytime. So, secure your property with the best insurance deal only by acquiring our property insurance services.